Know what to look for when choosing a supplier to ensure you achieve high-quality production on-time and on-budget. Choosing a plastic forming company can have a major impact on your production efforts. But how can you be confident in making such an important decision? You want to ensure that the company you decide to work with will keep you on-time, on-budget, and deliver to your expectations. No matter your objectives, you don't want your plastic forming company to be inexperienced, or worse yet, use your project as an experiment. You want them to have the experience to confidently produce to your specs using industry-leading technology, proven processes, and skilled workers. At the same time, they should be your support team. Select a company whose engineering team will work closely with you to develop a forming process that is specific to your goals and timelines. You want subject matter experts to act as an extension of your internal engineers. They should be able to answer questions, provide input and make recommendations without hesitation, and then execute on the deliverables to turn your vision into real-life success. Quality is non-negotiable – your process depends on getting what you need, when you need it. Therefore, the plastic forming company you work with should have a standardized method of ensuring and measuring quality. The products you receive from the plastic forming company should be consistent, efficiently produced, affordable, and have the features required by the customer. Your requirements are the number one priority. The company should have a strong customer focus, processes based on continual improvement, a data-based and factual approach to decision making, and mutually beneficial supplier relationships to ensure continuity of production. Be sure you know your plastic forming company’s processes from start-to-finish, as well as the materials and standards it uses. 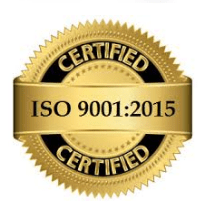 Look for certifications like ISO 9001:2015 and UL Certified Molder that prove its track record. Seek out a company that is respected in the industry, is involved with industry associations, and whose reputation is unblemished. The company you work with should be transparent, honest and hold high ethical standards. Cutting corners and questionable processes can all lead to significant problems and even legal issues falling on your shoulders. Avoid those types of hassles by looking for testimonials, or ask for references that you can call to inquire about previous or current relationships. Whether you're producing traditional items or something cutting-edge, your supplier should be up to the task. Today's world is ever-changing, and that includes the technology and designs of the products you produce. Look to partner with a plastic forming company that can adapt to your evolving needs seamlessly without disrupting production, and who can offer creative solutions to maintain lead time - even when you have complex requests. Consider companies that can reverse-engineer a plastic formed product that is no longer meeting your needs and recommend ways to make it better. A good supplier will collaborate with you to refine your vision and bring it to life within your cost and time constraints. An ideal supplier will do so while giving your product detail and style. The plastic forming company you work with should have a documented approach to production and problem solving that clearly defines how they'll meet your requirements, help you avoid bottlenecks in production, and maintain lead time. An open line of collaboration and communication should be the cornerstone of any production approach. The company should first listen to and understand your needs then make informed recommendations and provide design options for review. Prototyping can help give visual representation of the final product before going into full production to ensure you're going to get what you expect. Every step of the process should adhere to high standards and your exact specifications. Look for add-on or value-added services such as Just-in-Time (JIT) delivery, vendor managed inventory, locked-in pricing and ongoing deliveries (blanket orders), and/or simplified product tracking.